Looks like you are making great progress. One thing to consider on the AC is changing out the condenser and the orifice valve to use a variable orifice valve. 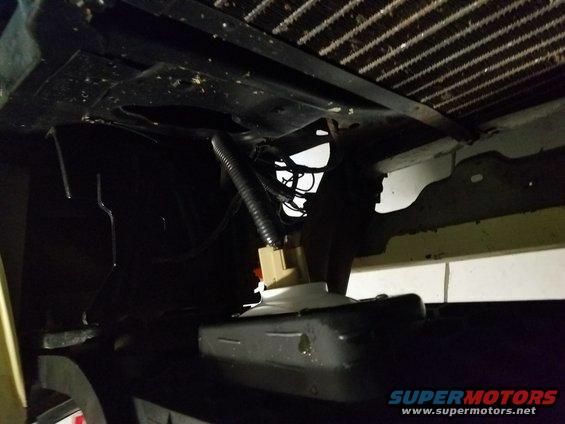 The condenser intended for 134A will help the system to cool better and the variable orifice valve will make it work better when at low speed or idle. Well we were driving the mustang around and we suddenly lost brakes. Stopped and checked it out, pumped the pedal ALOT, and moved the car. Found Fluid on the ground near where the bleeder would have been dripping. No evidence of fluid anywhere on the brake lines. Nothing especially wet looking on the back of the backing plate. But its so covered in grease and oil and road dirt that you couldn't see a single bolt head on any of the suspension parts. No evidence of leaking at the banjo fitting. This was after SOME digging off all the grease and dirt around the Tie Rod Nut. You couldnt even tell there was one before I started. 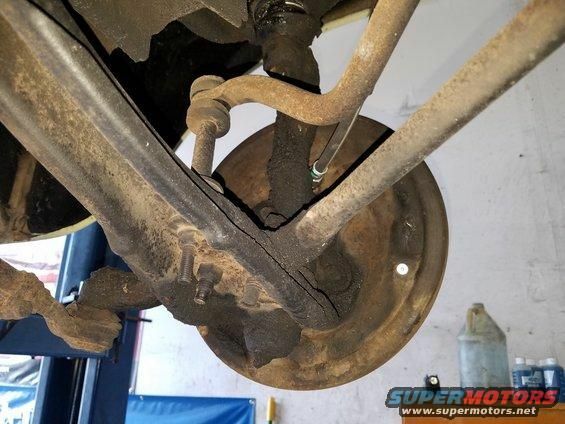 All of the suspension looks like this. I finally got it in the garage today to look at it. Jacked it up, pulled the wheel, removed the hub cap and spindle nut then pulled the drum. Well tried to pull the drum. The shoes were locked against it HARD. So I had to beat and pry on it with a rubber mallet and pry bar till it finally came off. I suspected that one of the plungers from the wheel cylinder had slipped out of place and the piston blown out in the wheel cylinder. But upon opening up the drum there was no evidence of that or any leaking fluid. I managed to strip out the bleeder valve, its in such an awkward place that its very difficult to see and work the wrench, without laying on the ground. So I went and got what I could find at the parts store. An assorted box of them with all different sizes. Hopefully one fits. So we put the wheel back on and rolled it back into the garage for the day. Then I went and got the bleeders and some more brake fluid. So I cant really explain what happened to the brakes. He said that it got super firm, then felt like something broke as he pressed harder and then boom, no more pressure. Just like you blew out a wheel cylinder. They are working now and not leaking. So Maybe they did leak a small amount when they got jammed. I just dont see it. So I will try changing out the bleeder and bleeding the brakes really good tomorrow. Maybe at least it will get enough line pressure to expose the leak if there is one. We spent a good 2 hours cleaning all that crap off of everything. I used 2 cans of brake kleen on it and wire brushes and screw drivers. Theres still alot on there. So I got 2 more cans of brake kleen for it to continue cleaning. I will likely have to replace the A arms and the Lower control arms soon, as well as the tie rods and ends. 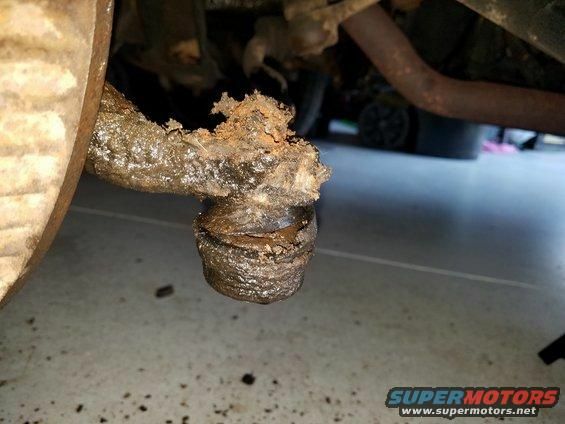 Theres some nasty squeaking coming from the tie rods when turning one direction. 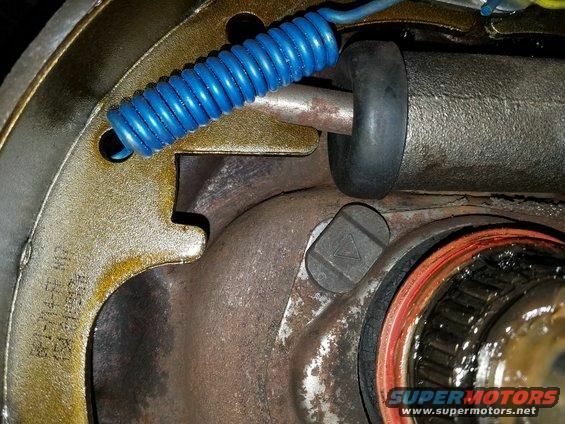 It will surely need all the sway bar bushings replaced soon too. Should be a fun project. 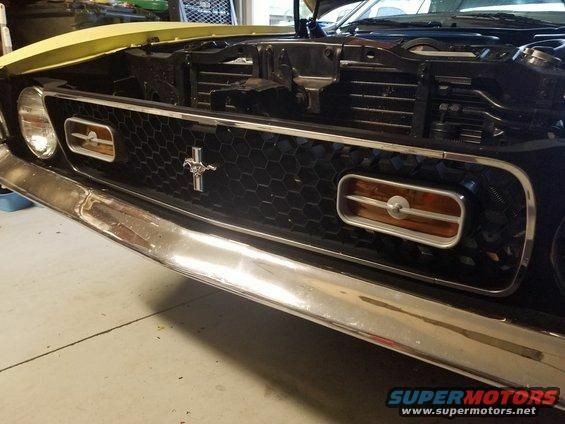 Then I can get a front end alignment done. Worked all day Sunday trying to find the leak but it still won't hold a firm pedal after bleeding the crap out of it and inspecting every thing. The only evidence of a leak I saw was a tiny bit of fluid around the brake warning switch on the proportional valve. There was a TINY amount of fluid around the base of it. Dunno if I splashed it there filling the MC or if it leaked from there. 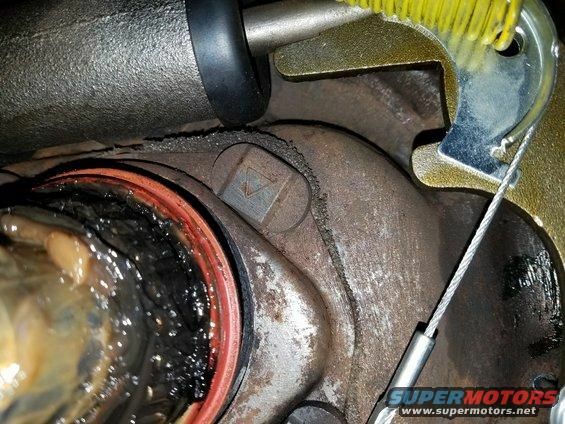 Brake booster may be where you will find the fluid accumulating. The rear seal of the master may be the source of your leak. OK I head from the mechanic today and it WAS the Proportional Valve leaking thru the sensor. So I made the hour drive up to Ocala to NPD Parts after work and picked up a rebuild kit and a original Ford Safety Switch for the prop valve. So it should be an easy repair to get it going. 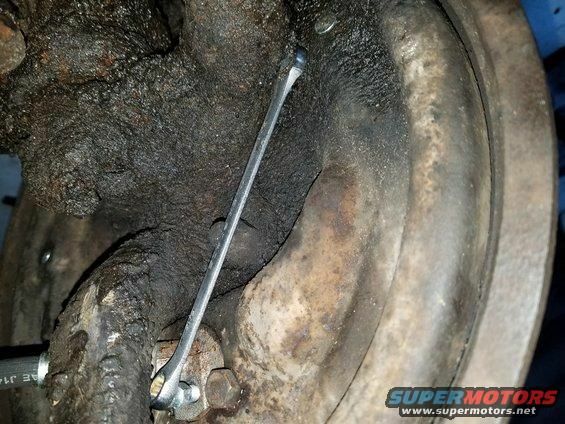 I knew it had to be that or a rusted thru brake line somewhere I wasnt finding. I havnt put it in yet. Ive been procrastinating on that project. I finally got around to getting the grill lights working today. It was pretty simple. 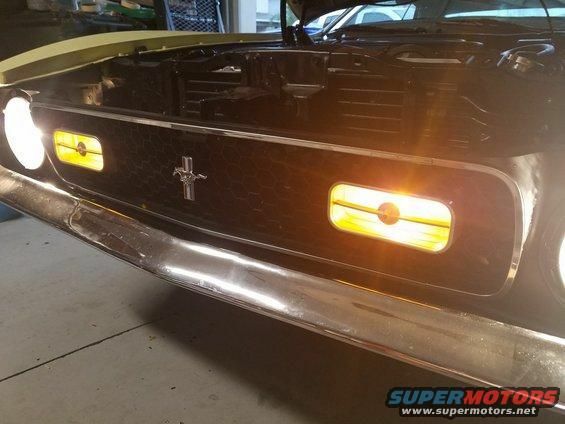 I wired them in with the side marker lights as Mid-Life Suggested. Worked out great! Overall I think it came out great. 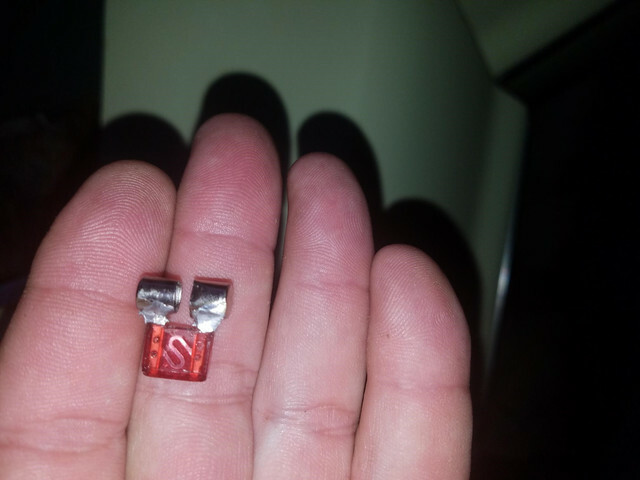 We finally got the correct fuses for the radio circuit. Wow, whoever did this bit of Redneck Engineering knew how to solder. 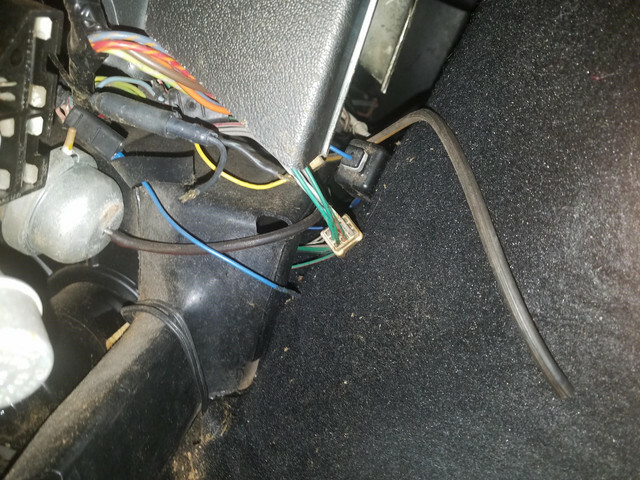 ALso found a loose vacuum line and a bare wire. No idea where its supposed to go. (08-19-2017, 05:09 PM)jowens1126 Wrote: The only thing I have left to do is get a new filler piece fabricated. The Original black plastic Filler piece that goes between the radiator and the Core Support is so fragile I dont want to try to put it back on there. It is completely disintegrating. The clips are also not going to hold it to that thick radiator frame. So I think I will run by the metal shop on Moday and get them to bend me a piece of polished Aluminum to match the original filler piece. Then I will just screw it to the radiator frame. I will have to see if I can find some better threaded clips as well that will work with the 1/8" thick frame. I also installed a Champion CC381 radiator no long ago, which is thicker and wider than the stock. 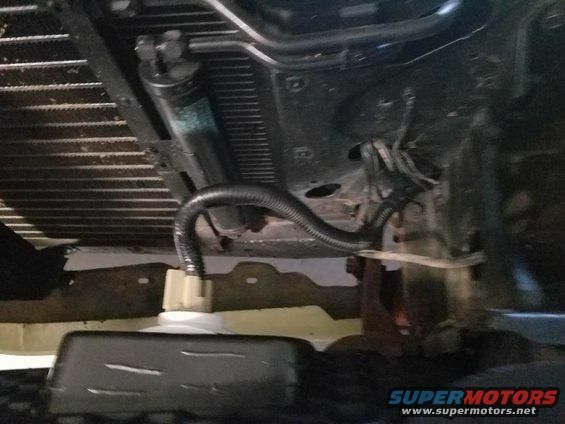 That said I have gaps between the vertical side of the shroud and radiator, and a gap between the radiator and frame. I am not able to use the original filler piece unless I modify it. At this point I am looking for ideas. I don't want to modify the original filler piece. Do you have pictures of your solution?